I’m a big advocate for Dash Cameras. With luck you’ll never need it. But if one day you’re the victim of an irresponsible driver, Dash Cam video may be the difference for successful litigation. There are many good choices for Dash Cams, I bought mine for less than $100 and I’m very happy with the performance. But this article is not about which Dash Cam to buy. Instead, it’s focused on installing your camera for enhanced ease of use. Power from the console accessory is always on, which meant I had to remember to turn the Dash Cam on and off every trip. And had I failed to turn it off for a long period of time, I would be returning to a car that wouldn’t start. Secondarily, the initial power cable run was a bit unsightly and so another objective of this install was to clean up the cable run. 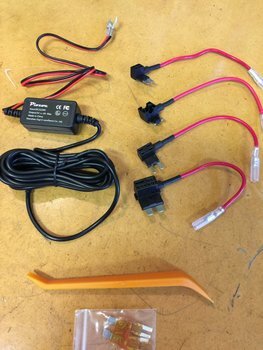 So this install will involve wiring your camera to switched power, which will activate and shut down the camera automatically when you turn the car on/off. Basic auto wiring tools (snips, stripper, tape) Note: These are not needed if you buy an install kit like the one described in the Parts section below. 1/4" foam 'backer rod' or similar weather stripping. Note: The image below shows the contents of the Aucee dash cam installation kit, which I purchased from Amazon for $12. It includes the power converter, tap-a-fuse, fuses, and even a plastic prying tool for running the wire - nice! A single purchase and highly recommended if you don't already have some of these parts on hand. 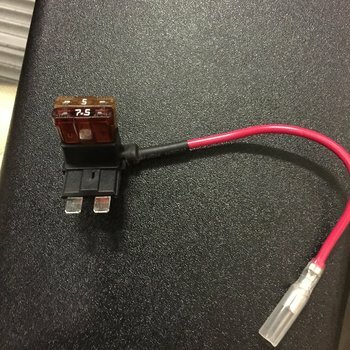 Just take note as to whether your camera uses a Mini USB connector (most likely) or a Micro USB connector when ordering the kit. 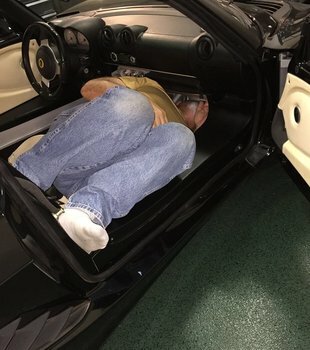 It's only fair that I caution you that in order to accomplish this install, you'll be spending more time than you'd like in a rather uncomfortable position, jammed between the passenger seat and the foot-well area in order to access the power fuse block. I found it useful to think happy thoughts during this time. Since we'll be messing with power sources, it's always best to disconnect the negative terminal from the post of the battery. Do this first and you won't forget later. A switching power source is located in a 4-fuse block under the passenger side dash. We'll be tapping the 7.5 amp circuit that powers the radio. The four fuses in this block are 20a, 15a, [7.5a], and 7.5a, and again we'll be using the interior [7.5a] fuse to tap from [Image A]. Image [B] depicts the Tap-a-Fuse with the original 7.5 amp fuse from the radio circuit in place, along with a 5 amp fuse that will protect our new camera circuit. Image [C] shows the Tap-a-Fuse inserted in the original radio fuse position. You may choose to zip tie it in place to the fuse block for added reliability. 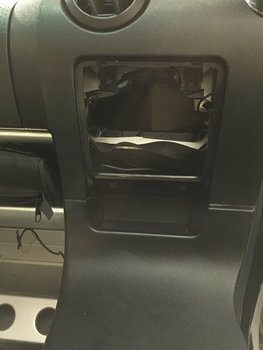 Image [D] Is the aluminum frame under the dash that conveniently has several holes drilled into it. We'll use one of the smaller of these to mount a #8 sheet metal screw and washer for the ground wire of our power cable. The red wire simply gets connected to the remaining red wire leading to the power converter. 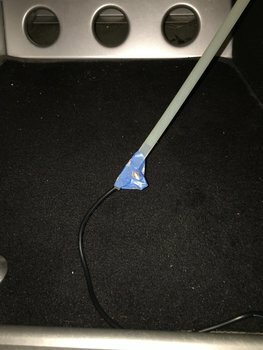 Finally I used a bit of heavy-duty Velcro to mount the small power converter box out of the way on the topside of an aluminum ledge under the dash. 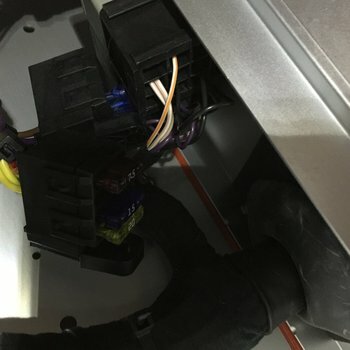 With the converter module mounted under the dash, the power cable is easiest to run from below up towards the top of the dash. You'll have a bit of trouble threading the wire through tight spaces because of the added bulk of the Mini USB connector (the end of the cable that plugs into the camera), but it's not insurmountable. The good news is you no longer have to stand on your head in the passenger foot-well. We'll use the cubby on the passenger side to transit the Dash Cam power wire starting from below the dash to the topside. 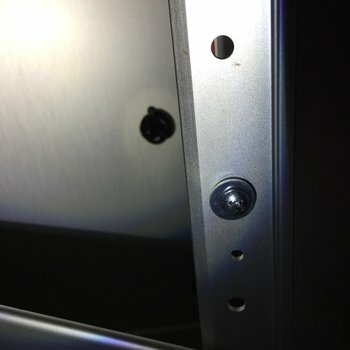 Start by removing the two screws at the base of the cover. Then slide the cover down and out. Be careful not to bend the two small plastic retainer tabs at the top of the cover [image A]. Caution: The inside of this cubby area is full of sharp aluminum edges that can leave you bleeding. Lotus applied foam on a few surfaces, but many more were left exposed. I used electrical tape to cover more of them. 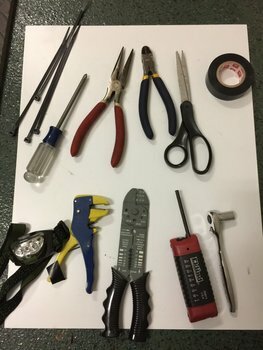 Gloves may also be useful to prevent cuts on the topside of your hand. 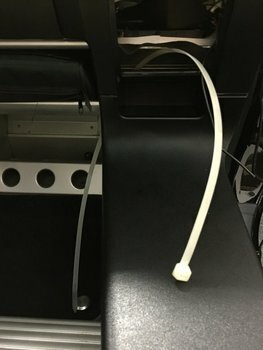 I used a large zip tie as a lead to guide the cable up the left side, then again on the right side up to the top of the dash. First I threaded the zip tie from the cubby area to the underside of the dash [Image B]. 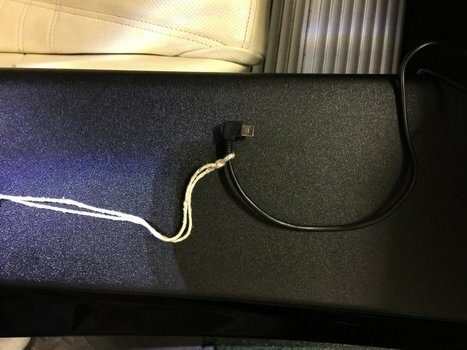 Then I taped the power cord with Mini USB connector to the zip tie [image C] and gently pulled it back up into the cubby area. 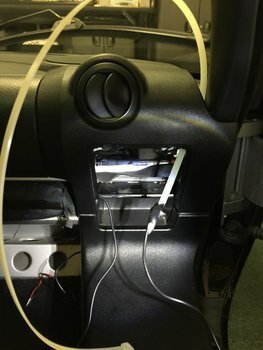 I repeated the sequence to thread the power cable from the cubby area to the topside of the dash [Image D]. 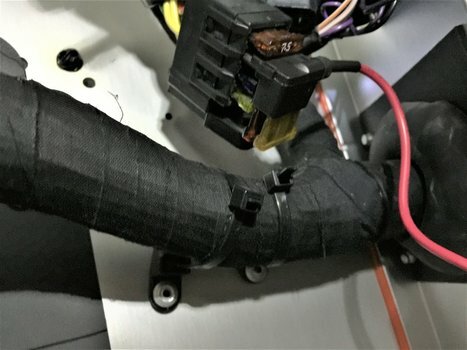 As an alternative to the zip tie, a string may be used to guide the power cable [Image E]. 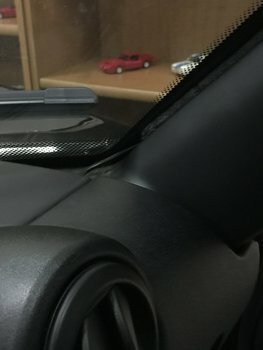 I installed my Dash Cam high on the windscreen for the best road images, and tucked behind the rear view mirror to minimize obstruction to my driving view. This required running the power wire up along the passenger-side A pillar and along the top of the windscreen. There's a small channel that the wire can be tucked into. The foam backer rod can then be pressed into the channel to hold the wire in place. With the power cable run along the A pillar and top of the windscreen, it's time to plug the USB connector to the camera and try it out. 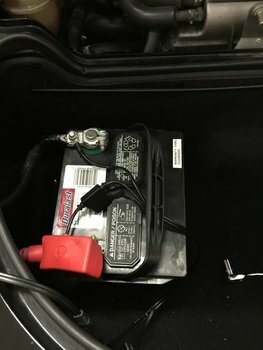 Reconnect the negative terminal on the battery to restore power to the car. The camera should now come on when the key is in the Accessory position, and power off when the key is removed. Happy Motoring!